Holiday home extras are often a huge draw for holidaymakers and often make a property more appealing. One feature on the ‘must have’ list for holidaymakers is a hot tub. It’s somewhere people can relax in every season. However, there are some drawbacks. Hot tubs require a lot of maintenance, otherwise they don’t function, and in some cases become a health and safety risk. Should you invest in one or are they more hassle than they are worth? They can differentiate your holiday home from a competing property and holidaymakers may rent your cottage over another, for the sole reason yours has a hot tub. However, this doesn’t automatically mean you can charge extra. For most guests it’s an added extra that makes a your rental more appealing – especially during the crisp winter nights. They can breakdown due to poor maintenance, wear and tear or misuse. If they do breakdown, guests are likely to want some of their rental money back for the sole reason they chose your property because it has a hot tub. You may want to put a daily refund amount into your rental contract so everyone is clear should your hot tub become ‘out of order’. To limit disappointed guests’ and refunds, it’s essential you have a hot-tub maintenance company on hand to carry out any urgent repairs. Hot tub covers are heavy to remove, subsequently they get damaged and need to be replaced every couple of years. This is an additional expense you will have to factor into your budgeting. It’s not uncommon for it to take 5 hours to empty and clean a hot tub and get it back up running again. Do you have time to do this in-between changeovers? Hot tubs are known to pose a health risk and are a breeding ground for bacteria to grow if the water quality is not rigorously maintained, especially Legionella. Self catering cottage owners have a duty to assess hot tub health risks and implement appropriate measures to ensure guest safety. Management of Spa Pools – Controlling the Risks of Infection. There is a multitude of servicing tasks that you must also remember. For instance, hot tubs need to be kept chemically balanced and the chemicals have to be stored correctly. On top of that, you also need to set rules for guests so they are safe. Something which can be quite complicated. If a problem was to arise the first indicator will usually be the colour of the water. If the water was to go cloudy or green that indicate that algae is growing. This could make sides slippery which is a dangerous hazard for guests and troublesome for you if they were to fall and injure themselves. A shock dose of chlorine should help remove anything green and slimy that is growing. More information on shock chlorine is provided further down the article. Cloudy water could also signify poor chemical control which can be checked via pH test strips. If chemicals are out of balance you should clean the filter cartridge. If that doesn’t work you may have to buy a clarifier to remove smaller particles. If the sides of the pool become rough or scaly then the calcium levels in the water may be too high. A pool scale inhibitor should stop the calcium from mitigating into the water. If the hot tub starts foaming signifies detergent resident most likely caused by incorrect cleaning of the hot tub. Household products shouldn’t be used as they can often cause damage to your highly expensive hot tub. To combat this, you should reduce the water and fill it with fresh water. 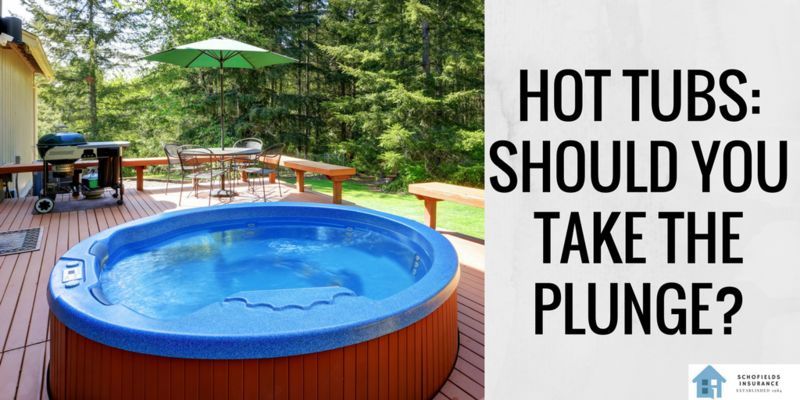 The warning signs for hot tubs are often quite obvious, however, some aren’t. A chemical imbalance can lead to the water becoming acidic or alkaline. PH test strips should be regularly used in order to keep levels balanced. Otherwise, the water will cause irritation and bacteria growth. When you first purchase a hot tub, you will need to do a chlorine shock test. This helps remove bacteria and prevent the growth of algae. Given there will be no chlorine present in the water to begin with, chlorine granules should be added. If the water has too much chlorine it isn’t a huge problem, it will eventually reduce if it is left alone. To fully keep algae at bay you should use algaecide on a weekly basis. After the shock test, you will have to maintain the pH levels of the tub and ensure it stays at the normal level, seven. For those who can recall their high school science would know that anything below seven is acidic and anything over is alkaline. Each have side effects that can make those who use the hot tub very uncomfortable. If the water is over seven (alkaline) it can cause skin and eye irritation and cause the formation of scale. Plus, it will also reduce the chlorine effect meaning bacteria will grow. On the other hand, anything over seven (acidic) will cause plant corrosion, unpleasant smells and discomfort to those who bathe in it. To keep levels at the normal rate you would have to measure the pH levels on a weekly basis or even daily if being used on a regular basis. If the pH levels are over or under you should use a pH minus or plus solution depending on the pH figure. When using such solutions remember to follow the instructions on the bottle before use. The hot tub also needs to be disinfected with chlorine granules on a regular basis to kill bacteria. When using any type of chemical always remember to read the instructions on the bottle. Don’t mix any of the chemicals together as this could be dangerous. If there are any spillages flush the area with water. Don’t use unlabelled bottles and always pre-dissolve chemicals in a clear, plastic container. Chemicals can be highly corrosive and need to be stored and handled accordingly. They should always be kept out of reach from any children and pets and they should be stored in a dry, cool place. Alongside maintenance, a hot tub needs to be regularly cleaned to further deter bacteria and algae growth. Hot tubs do require specialist cleaning products as household cleaning products are no good. 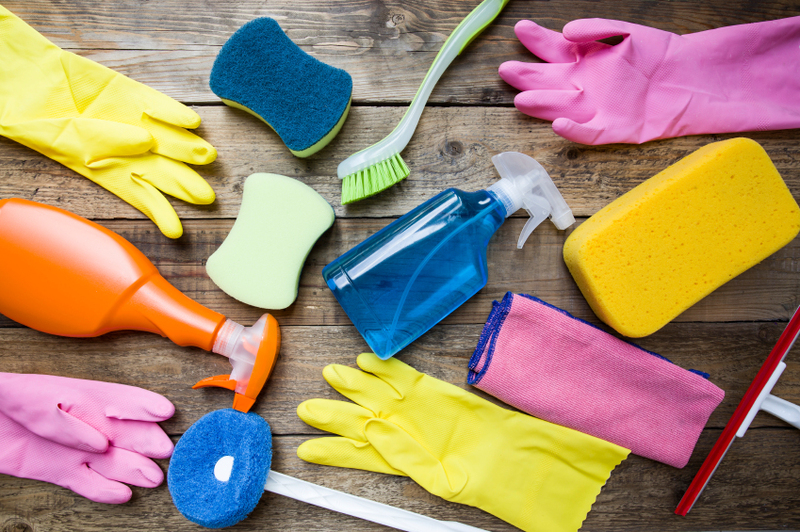 Household cleaners often contain phosphate which aids the growth of bacteria and algae. Whilst a hot tub is a fun extra that encourages holidaymakers to choose your property it can also put you at risk. If a guest was to slip, fall and bang their head you could be held liable. With that in mind, you should include a list of hot tub rules in the welcome pack and displayed next to it. Make it clear that non-swimmers and children shouldn’t be left unattended. If the spa only holds four people then specify that only four people should be in it at any one time. Outlaw diving as that’s likely to cause a head injury. Never use the hot tub in a thunderstorm and the obvious one, no electrical appliances near the hot tub or glasses. You may want to consider having a mat on the floor for when guests are getting out of the hot tub. Also have a first aid kit nearby in case of an injury. On paper, a hot tub is a great attribute to a holiday home. It makes a property more desirable and gives a homeowner the competitive edge. However, they are hard work to maintain and guests may not be as respectful as you would like. You don’t have to be a rocket scientist to maintain a hot tub, but it is a lot of work. If you (or your property manager) are on hand to perform the necessary maintenance checks then a hot tub could be a good investment to differentiate your rental. The question is, are you prepared to do it? Considering the health and safety risks if you don’t comply with the HSE guidance, employing a specialist to undertake the required maintenance could be wise. A comprehensive holiday letting insurance policy provide public liability insurance to cover injury or illness associated with the use of the hot tub. You should clarify if your hot tub is covered under the buildings section (if plumbed in) or contents (freestanding), if accidental damage cover is included and any limits on the sum insured. If you require any clarification on holiday cottage insurance and hot tubs please get in touch with Schofields. As someone who works with hot tubs, I would of course always suggest to include a hot tub in your holiday cottage as it can make it 10 times more appealing to guests. However if you are planning on installing a hot tub as a holiday cottage owner, then it’s a good idea to winterise your tub during the colder months. This way it will make sure the life span of your hot tub is extended, and prevent mold and frost damage. Hi Sophie, can you elaborate? How do owners winterise a hot tub? Do they still need to do this if it’s used regularly? If the hot tub will be in use during the winter months then there would be no need to winterise. Winterising basically means draining and cleaning the tub, but there are a few other tasks to do when winterising too. There are plenty of youtube videos on how to do this. Hope this helps. We would recommend running your holiday hot tub during the winter months. Hot Tubs are far more beneficial in the colder weather and if managed correctly you should not have any risk of frost damage.